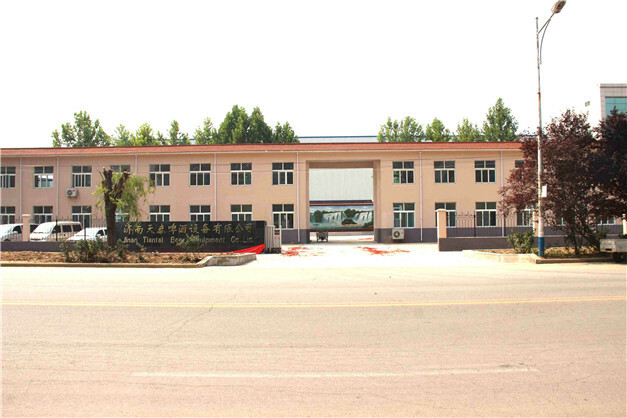 Jinan Tiantai Beer Equipment Co., Ltd. (TBE Company) is a professional beer equipment manufacturer. We are specialized in the professional design, manufacture, installation and commissioning of beer equipment and supporting facilities. Our products include mashing equipment, fermentation equipment, yeast spread cultivation equipment and refrigeration equipment for small and medium-sized brewery, hotel, pub, etc. TBE offers a large variety of products in every specification. At the same time, we have a great foundation of cooperating with many domestic and foreign companies and research institutions. It helps us to attract and train a number of outstanding technical engineers and production workers. This has laid a solid foundation for the development of our enterprise. Our self-designed and manufactured products meet various brewing methods as customers' demands. Our equipment with its fine workmanship, excellent performance and easy operation will be your best choice for brewing beer. In both the appearance and the quality, our products are comparable to top level similar products domestically or internationally. Furthermore, we offer to cater to the need of customers. Our engineers are happy to design and manufacture beer equipment according to customers' demands. We employ a professional research and development team, a group of highly trained production workers, and advanced processing equipment to ensure the high quality of our equipment. Our professional brewing technology will not only reduce the cost and increase the output, but also brew excellent beer with good and unique taste. All of these are to enable you to open and develop your market as quickly as possible. Our Zero Distance technical support will help you conduct the production operation on schedule. Our incredible after-sale service system will solve your problems and leave you nothing to worry about.